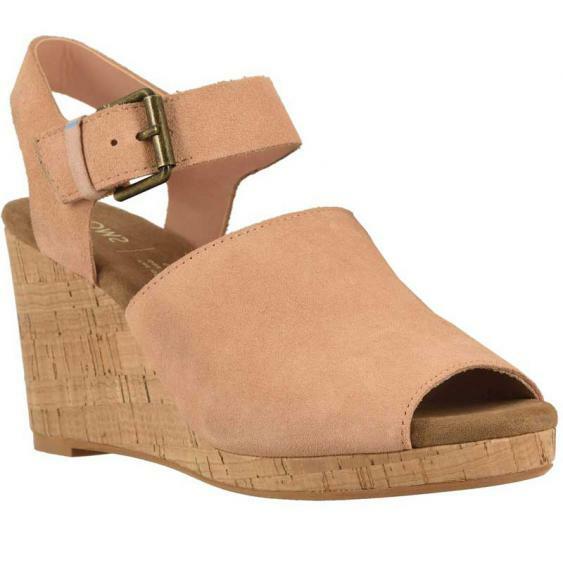 The trendy Toms Tropez wedge is just what you need to finish off your favorite summer time outfit. This women’s heeled sandal has an upper made of a combo of suede and leather with an adjustable ankle strap with metallic buckle. The soft lining offers an abrasion free fit and the Tropez features a 3 3/8” cork or raffia wrapped wedge with a textured outsole to traction. The best part about the Toms Tropez? For each pair sold, Toms will donate a pair of shoes to a chile in need. One for one.